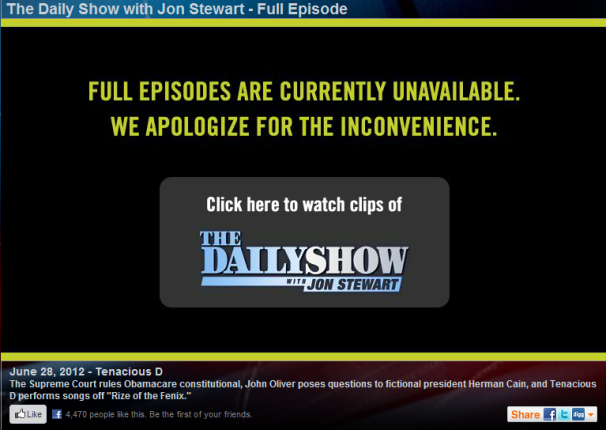 Viacom has stopped streaming recent full episodes of The Daily Show with Jon Stewart and the Colbert Report on Viacom-owned sites as part of the company's widening dispute with satellite cable provider DirecTV. The popular comedy shows are still available on sites such as Hulu.com, but Viacom pulled recent full episodes from its own sites in an attempt to put pressure on the satellite TV provider. Viacom still has about 4,500 older full episodes online for streaming, and show clips are still available. 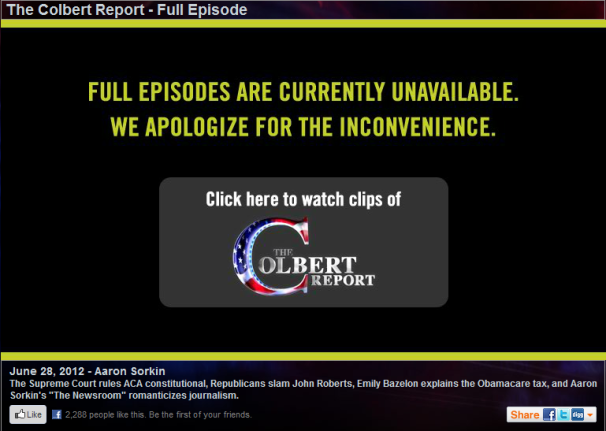 Both The Daily Show and The Colbert Report are currently on summer hiatus. Viacom says it decided to pull the plug on some of its online programming after DirecTV suggested its customers watch Viacom content online during the dispute. Viacom believes the company's online content is meant to serve as a marketing tool for its partners. Viacom and DirecTV are currently caught up in a contract dispute over programming fees. Viacom wants DirecTV to pay more money for the 26 Viacom channels DirecTV offers to its subscribers. DirecTV says the content company is asking for too much--about an extra $1 billion over five years, according to Bloomberg Businessweek. 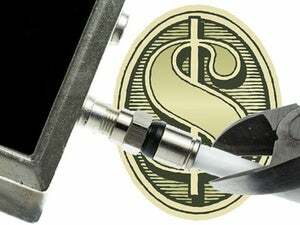 In a blog post, Viacom said it is only asking for a “rate increase of a couple pennies per day, per subscriber.” Viacom argues the new fee is reasonable given the popularity of Viacom content among DirecTV subscribers. The top channel on DirecTV is Nickelodeon and at any given time about 20 percent of DirecTV subscribers are watching Viacom content, according to Viacom. Disagreements between cable providers and content companies are all the rage right now. Dish, another satellite provider, dumped AMC Networks from its lineup in July over contract disputes including channels such as AMC, IFC, Sundance, and WE tv. That means Dish subscribers may be out of luck when the popular show Breaking Bad returns for a fifth season on Sunday. AT&T also had a dispute with AMC in July, but the companies were able to resolve the disagreement without disrupting service for AT&T U-Verse customers, according to Deadline Hollywood. DirecTV's previous agreement with Viacom expired Wednesday. This story, "Viacom Pulls Online Videos Over DirecTV Dispute" was originally published by PCWorld.